AICN HORROR talks with Duane Graves and Justin Meeks about Western genre-bender KILL OR BE KILLED! Welcome to the darker side of AICN! Mark L. Miller aka Ambush Bug here with another AICN HORROR: ZOMBIES & SHARKS column. Here’s a conversation I had with directors/writers Duane Graves and Justin Meeks about their new Western genre twister KILL OR BE KILLED. I reviewed the film here, plus their previous films the sort of Bigfoot film THE WILDMAN OF THE NAVIDAD here and the sort of TEXAS CHAINSAW MASSACRE sequel BUTCHER BOYS here. I’m a huge fan of the filmmaking duo, so I leapt at the chance to learn more about their new film which is available now on DVD/BluRay, On Demand, digital download. and on Redbox. Here’s what Duane and Justin had to say about KILL OR BE KILLED! AMBUSH BUG (BUG): So explain what KILL OR BE KILLED is all about for those who don't know about it yet? 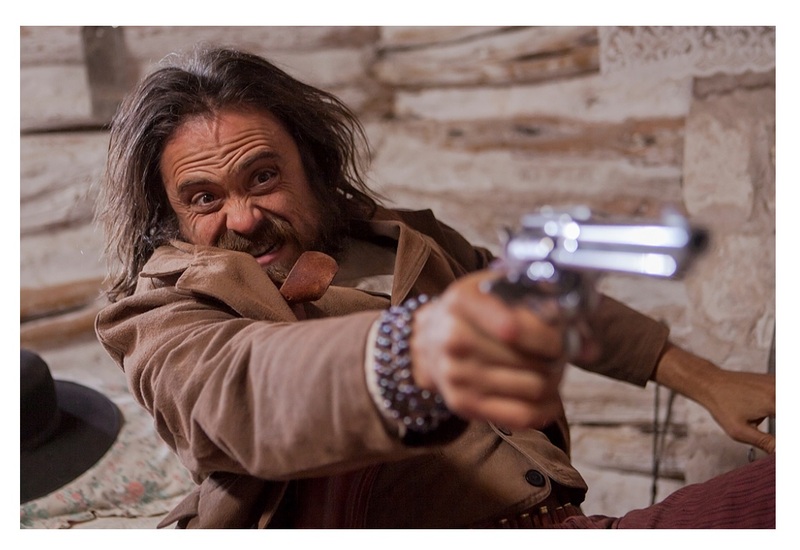 JM: Originally titled RED ON YELLA, KILL A FELLA, KILL OR BE KILLED is a dark Western that follows the debaucherous Barbee gang across Texas to reclaim a loot stashed after a botched train robbery. It turns out many are on the hunt for the gang, including an evil that's greater than the outlaws themselves. This isn't an oater for the light hearted, as it delves into some dark, psychological areas. 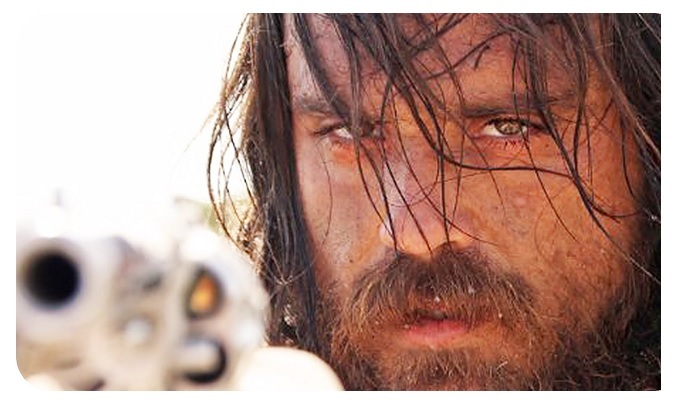 It's loosely based on the real life Texas outlaw Sam Bass and his gang, who gained notoriety in the 1870's. It's currently out on VOD, Redbox and retail outlets such as Walmart and Best Buy. BUG: What Westerns (or other types of films) inspired you while preparing for this film? DG: We pulled a lot from the classic Italian Westerns of the 60's, particularly those of Leone and Corbucci. We loved how they played with a variety of tones and styles and really created a sub-genre. The darker undertones in HIGH PLAINS DRIFTER were always in the back of our minds, as was the dance between comedy, violence and poetry in Jarmusch's DEAD MAN. The fun independent spirit in the lesser known character-driven Westerns of 70's horror director Charles B. Pierce were also hugely inspirational. Films like GRAYEAGLE, WINTERHAWK, and THE WINDS OF AUTUMN. We're big fans of multi-layered stories that you almost have to watch several times to dissect. Our goal was always to have KILL OR BE KILLED exhibit many of these elements. BUG: Your co-director/co-writer Justin Meeks starred in KILL OR BE KILLED. What was it like directing someone you are so close to creatively? DG: We do most of Justin's character development ahead of time in pre-produciton, so he's pretty locked in by the time we roll. That allows us to focus on the other actors and how they play off him, etc. Most of my notes to him during production are blocking related or just minor tweaks, reminders, adjustments, etc. BUG: Though this film was made quite a while ago, it is now being released during a sort of gritty cowboy genre movie renaissance in film with THE HATEFUL EIGHT and BONE TOMAHAWK. How do you see your film differ from those two films and how are they similar? DG: BONE TAMAHAWK is widely considered as a low-budget indie, and by Hollywood standards that's very true, but we were working with about 1/7th of what they had and much less star power too. Definitely challenging. We went into this knowing we were biting off potentially more than we could chew, and it really was a risky proposition tackling a period movie at this level. Luckily we had an amazing team, and we tend to thrive a bit when the odds are stacked, so it never really detoured us. We always aim to make movies that belie their budgets and stand out with a certain peculiarity. Also, we shot this one in November of 2012, before DJANGO UNCHAINED came out. So we knew nothing of the gritty horror/Western renaissance on the horizon. We had hoped interest in Westerns as a whole would pick up, and it did, but it took a bit longer than we'd hoped. We're just happy to be a part of the wave, honestly. I think it's great. It's such a fun, immersive genre that we don't see many independent level projects emerge from. 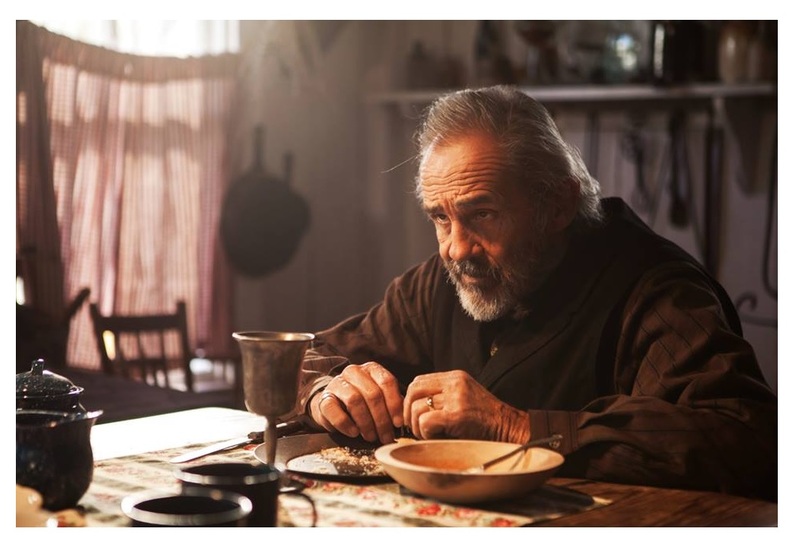 As for similarities, I think our film might have more in common with "BONE TOMAHAWK, in that it also has a fair amount of humor sprinkled in, and the horror elements ramp up as you get further and further in. That's pretty much where the similarities end though. THE HATEFUL EIGHT is maybe a little similar in that it juggles a lot of characters, but it's much more claustrophobic in its primary location, whereas our flick is more of a road movie filled with several misadventures. BUG: This seemed like an expansive sort of movie made over some rough terrain. Do you have any horror stories from the filming process of KILL OR BE KILLED? JM: Many horror stories! We knew it was going to be a wild ride from the start, being that the cast and crew would be traveling across the entire state of Texas. It was a rough jaunt filled with flat tires, quarrels, cops, horse and rider malfunctions, and much more. But we had a die hard cast and crew, and once we accepted the challenge, nothing seemed to hold us down. It was kill or be killed, literally. BUG: Originally the film was called RED ON YELLA, KILL A FELLA. Why the name change? JM: It was a marketing decision with RLJ. They felt the original name was too retro, and may leave some folks out. We considered that and decided on what was originally our tagline, KILL OR BE KILLED. The story is really built around and enhanced by the original title, so we hope that it will live on. BUG: What did you learn from your previous films WILDMAN OF THE NAVIDAD and BUTCHER BOYS that you applied to the making of KILL OR BE KILLED? DG: Everything. WILD MAN was like an intensive six month film school. We had $7,000 and access to a bunch of ranch land, so we utilized that the best we possibly could. There was no more than five people on that crew at any given time, so it forced us both to wear many hats. It was a very unique hands on experience that set the foundation of how we work together. In a lot of ways it was much more beneficial than the textbooks. BUTCHER BOYS was our first time working with a legitimate crew and budget, so it was definitely a sink or swim type situation. We learned how to keep a bunch of really talented people focused on a common goal. The ending scene in that one had 11 characters running around screaming at each other. A directorial nightmare in some ways, but a fun puzzle to put together. Being an editor has made the directing duties easier for me. BUG: The setting of Texas seems very important to you guys. What is it about this locale that makes you want to tell stories there? JM: Texas has so much to offer in the form of landscape and character. It's a vast state with a rich, diverse history. The people here are a unique study, and different social structures form in different parts of it. That cultural diversity makes it such a gem. We've always injected Texas into our scripts. It's where we are from and what we know best. I also must add that many of our actors are based here. There is some amazing talent here. BUG: Can you elaborate on the process of co-writing and co-directing? DG: We usually start by doing research on various topics and watching a bunch of old movies. Then a lot of brainstorming sessions where we just fire off ideas for hours at a time. After about a week of that we put together a very detailed outline of the story from start to finish. This is all before actually writing any pages. Of course screenplays tend to continuously evolve - even right before and sometimes during shooting - but for us that's pretty rare. Having worked together for 17 years now, we've gotten pretty good at reading each other and communicating non verbally on set - almost like a coach would with his players. Justin does a lot of one on one with the actors while I focus on the camera, yet we can both step across if need be. Co-directing is a lot more common these days, but it's not always easy. It takes certain personalities. That creative relationship takes time to develop and get into proper sync. Once it's firing on all cylinders though, it can be a great advantage. BUG: There's something universally appealing about the Western. It certainly seems the Western figures greatly into all of your films I have seen from you guys so far. What do you think the genre means to American cinema and what about it appeals to you? JM: Yes, it's true everyone seems to like a good Western. Life was such a struggle back then, and choices were so limited that "simpler" was actually much harder (and harsher). The Old West was literally good vs. evil in some ways, and people had to take a stand for what they believed in. I think audiences have always connected with that struggle and that sense of isolation. We like to play with similar themes in our films. Familiar settings with complex, unique characters. 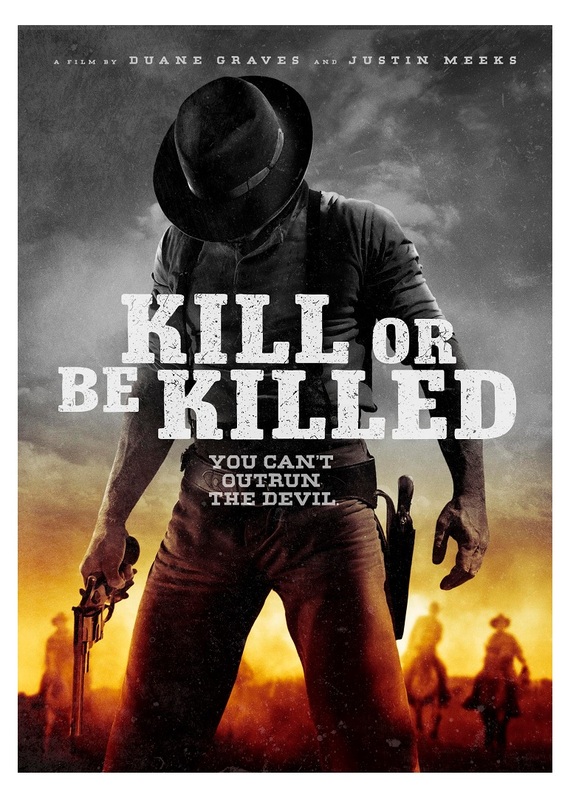 BUG: With KILL OR BE KILLED leaning more on gritty and dark Western than true horror, does this mean you guys are moving away from the horror genre? JM: Well it's really more about a good story. If it happens to have horror elements, then we want to make them as authentic as possible. I think if anything we may be moving towards a more psychological drama arena, especially in our newest script. We usually land in or near horror. BUG: What's next for you guys? DG: We're putting the finishing touches on a new script called CHOKE CANYON that we hope to get going later this year. It's a modern border drama/thriller set in south Texas - with a dark horror twist of course. A much more traditional narrative storyline this time, with Justin again in a lead role. Perhaps more arthouse than grindhouse, yet it still pulls no punches. Likely less of a "novelty" feel than our previous films. Now all we have to do is convince William Forsythe to do it! BUG: Thanks, Duane and Justin! Look for KILL OR BE KILLED in just about any outlet possible; DVD/BluRay, digital download, On Demand, and now, Redbox! Find out more about this film here and on Facebook here! Ambush Bug is Mark L. Miller, original @$$Hole/wordslinger/writer of wrongs/reviewer/interviewer/editor of AICN COMICS for over 15 years & AICN HORROR for 5. Follow Mark on the Twitters @Mark_L_Miller. AICN COMICS has a brand new sponsor: Things From Another World—also known as TFAW! Please support AICN COMICS by clicking the Things From Another World banner and checking out all of their amazing collectibles! TFAW carries everything from comics to toys and any kind of collectible in between. You just might find something you can’t live without like that breathtaking Margot Robbie Harley Quinn statue up there!